Craving dessert, but not the empty sugar rush? These raw chocolate pecan crumble bars can definitely fill the void. 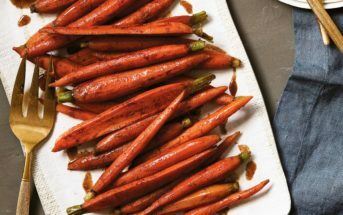 They’re a little indulgent, but packed with pure, nutrient-dense foods and are just one sample from the virtuous new cookbook, Everyday Detox: 100 Easy Recipes to Remove Toxins, Promote Gut Health, and Lose Weight Naturally by the famed “Detoxinista“, Megan Gilmore. 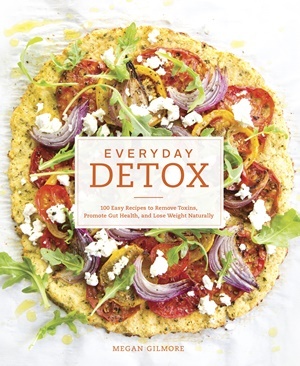 I must say, I’m pretty excited to start trialing out some of the recipes in Everyday Detox. 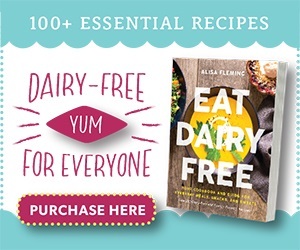 Though it isn’t strictly dairy-free (yes, that is a little cheese on the front cover recipe), dairy is used lightly in this cookbook (typically goat cheese, sheep cheese, or grass-fed butter), and there is so much healthy inspiration within. Megan makes everything from scratch, and I do mean everything. From the quick, raw chocolate in these chocolate pecan crumble bars to homemade almond milk in smoothie recipes. Some other quick dietary notes… Everyday Detox appears to be an entirely pescetarian and gluten-free cookbook with numerous paleo options. 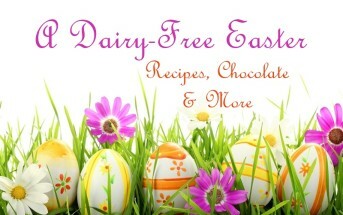 Eggs and fish are used in some recipes, but most of the recipes are vegan-friendly. And of course, these Chocolate Pecan Crumble Bars! 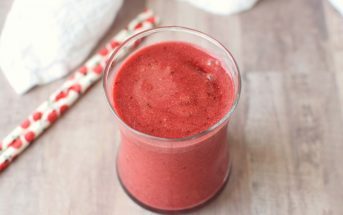 By ingredients, this recipe is dairy-free / non-dairy, egg-free, gluten-free, grain-free, peanut-free, soy-free, vegan / plant-based, vegetarian, paleo and raw. These bars look as impressive as they taste, but they are deceptively easy to prepare. Featuring buttery pecans and fiber-rich dates, these bars are loaded with minerals, including magnesium, manganese, copper, and iron, and are teamed up with a homemade chocolate layer that’s bursting with antioxidants. Because they are a raw dessert, be sure to serve these bars directly from the refrigerator or freezer for best texture. Place the pecans in a food processor fitted with an “S” blade and process until they are ground into a meal. Add in the dates, coconut oil, and salt and process again until the dough sticks together when pressed between your fingers. Reserve 1 cup of this mixture for the crumble topping and press the rest of the dough evenly into the lined baking dish. In a medium bowl, whisk together the cacao powder, coconut oil, and maple syrup until smooth. Pour the chocolate filling over the crust and smooth the top with a spatula. Sprinkle the remaining 1 cup of crumble over the top of the chocolate layer and use your hands to gently press the topping into the chocolate filling. Place in the freezer to set for at least 2 hours and then cut into bars and serve chilled. 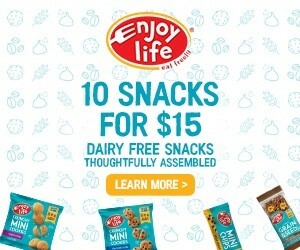 Looks like a fabulous treat! I love using dates for goodies! 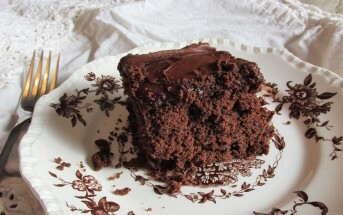 And hello…chocolate! 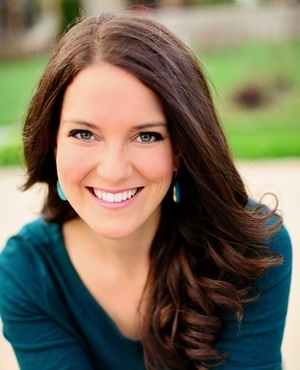 Megan is such an awesome food blogger! 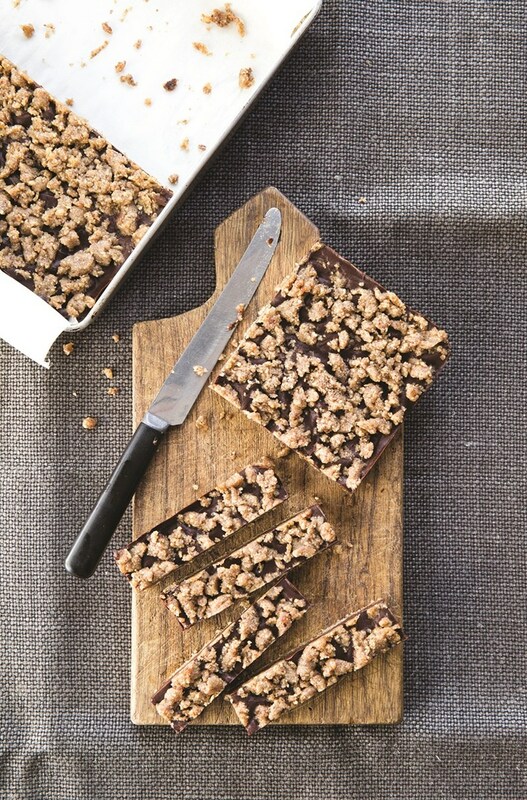 SO excited for her new book and these bars are so DELISH! 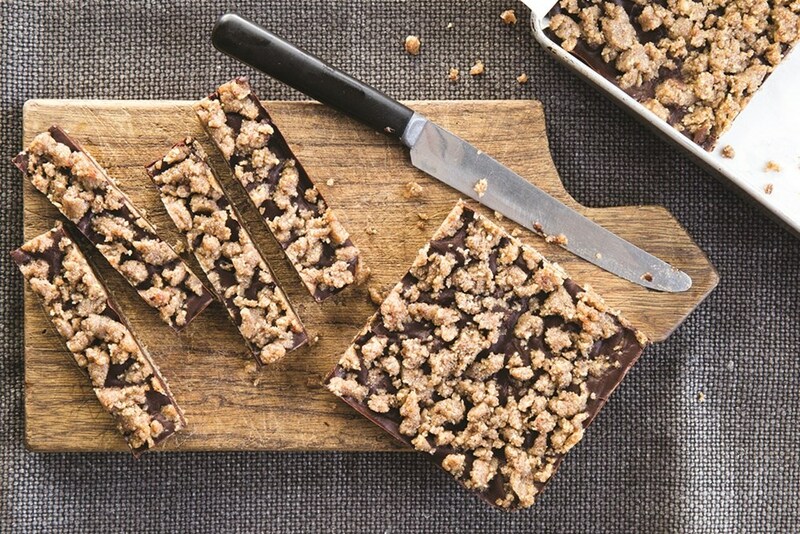 I’m not muchof a baker so your recipe is right up my alley – these bars look delicious! This looks fantastic. I love the addition of dates. Definitely going to take a closer look at this book. I recently ordered a copy of this book for a friend I am giving some guidance to 😉 so happy to hear it is as good as I hoped! this recipe is definitely something I would enjoy.